Fifa World Cup trophy fully loaded with gold from top to bottom. But how much does it cost in each tournament. How much value gold used for the world cup trophy. After every fours Fifa World Cup event held in the country who wins the bid to host the world cup. The upcoming 2018 world cup host by (Russia). The 2022 world cup host already made bid Qatar. If we will talk about the most expensive trophies used in the sports tournament. Fifa World Cup trophy holds first position in the list on which 18-karat gold used. 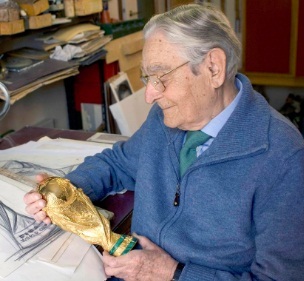 The design of the world cup trophy changed after 1970 tournament. There 53 different designs submit by artist from seven countries. It was the design of (Silvio Gazzaniga) which later selected. The length of trophy is now 14.5 inches, 13.6 pound weight. Almost 75% made of gold which valued ($150,000). The two layers of malachite used in the on trophy to bring more effect on it. 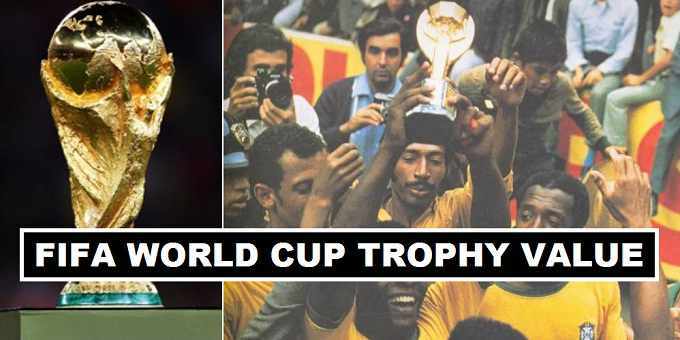 The first remodeled trophy given to the winning team in 1974 world cup edition. How much it impacts on the price of Fifa world cup trophy value when the price of gold fluctuates. The melt value of the gold also fluctuates, such as the the melt value of the Fifa 2006 World Cup trophy is estimated ($96,000) and the melt value of the world cup trophy in 2010 nearly ($155,000). How ever the price of the statue is way more then of (melt value of gold). In 1971 the new trophy is created which is valued at ($50,000) but today the value of the trophy increase 60% and it cost ($20 million).